Click the button below to add the Ford Sync 3 Front & Rear View Camera Interface to your wish list. 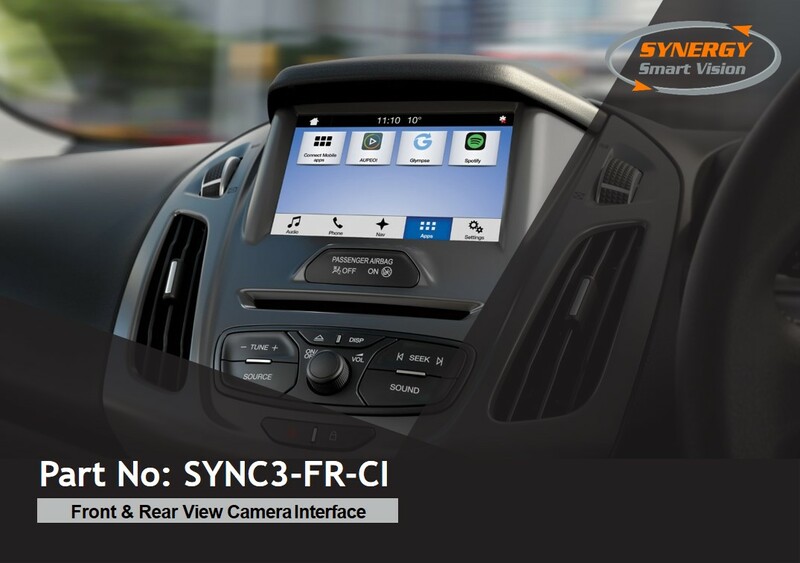 Introducing our new Ford Sync-3 Front and Rear camera interface. This OEM quality solution, has compatibility with the latest generation of Ford Vehicles and uses PnP (Plug and Play) LVDS technology to retain the integrity of the original wiring and negates the requirement to code the vehicle, which can be problematic when the vehicle software is updated during routine servicing and recalls. We have a range of bespoke cameras for Ford Passenger Cars and Light Commercial Vehicle, to provide an elegant and robust solution, that will ensure the system has a factory look and feel. Our system is compatible with existing park assist and automatic parking systems.